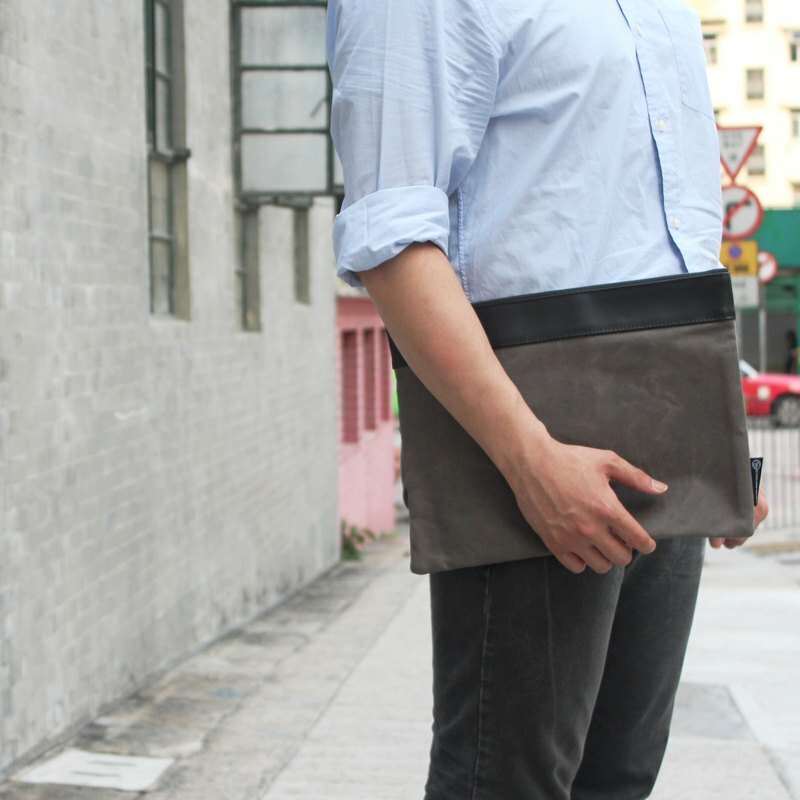 Our Large Portfolio Bag is able to fit in a 13" laptop, magazines and what ever you need for the day. Good size for men and women to carry it as a daily clutch anytime, any where. Material: Waxed Canvas; Genuine leather tab. Lining: Cotton-poly fabric Color: Washed Grey Waxed Canvas; Black Leather Size: 26 (h) cm x 35.5 cm (w); inner pocket: 21cm x 25cm Main compartment : Black Metal Zipper with Civilian Goods zipper puller Construction: 1 inner pocket for cards and kinck knacks.